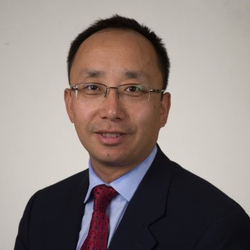 Dr. Jun James Mao, an Associate Professor and Director of Integrative Oncology in the Department of Family Medicine and Community Health at the Perelman School of Medicine at the University of Pennsylvania. As a board-certified family physician and a licensed acupuncturist, he combines eastern and western approaches to treat cancer patients with a specific clinical focus on symptom management and primary care. Dr. Mao’s research centers on investigating the effects, mechanisms, and integration of complementary and alternative medicine (CAM) for symptom management among cancer patients and survivors. He has published over 70 peer-reviewed manuscripts and is the President-Elect for the Society of Integrative Oncology. In his free time, Dr. Mao enjoys swimming, biking, and playing volleyball.